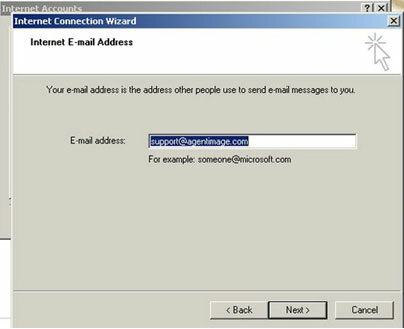 ***Email service noted in this FAQ section apply to clients with older existing email accounts with Agent Image and will continue to receive support. If you are in need of an email account for your website, please contact Support to receive more details on options. 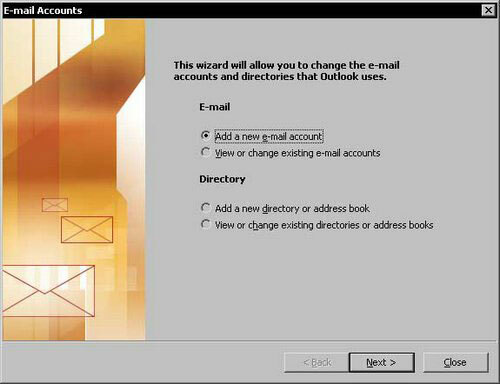 How do I set up my POP3 email account in Microsoft Office OUTLOOK? 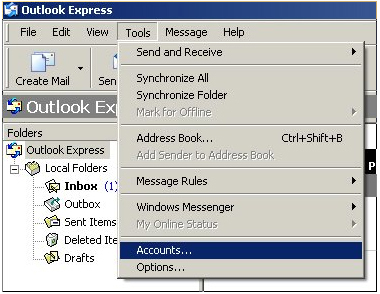 Then click “send and receive” in the main Outlook window and you should send/recieve your emails! How do I set up my POP3 email account in Microsoft Outlook EXPRESS? If possible, use Microsoft Office Outlook, NOT Microsoft Outlook Express. You will run into many problems with Express. 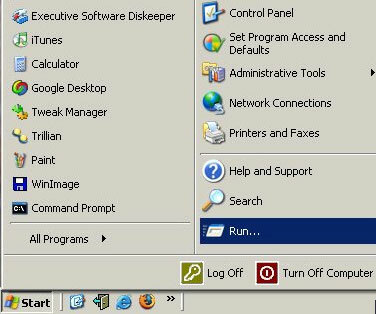 Go to All Programs, then Microsoft Office, then select Microsoft Outlook Express. 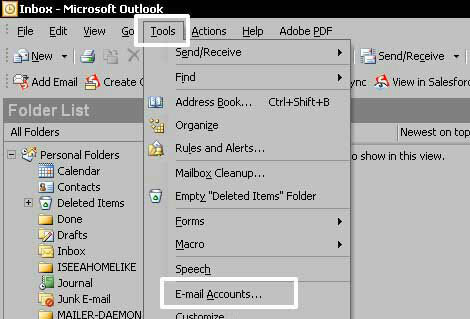 Once in Outlook, click on the Tools menu, then go to Accounts at the bottom of the menu. Then click Add, then Mail. 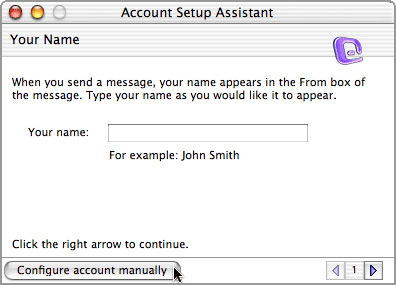 In the Display name, fill in whatever you would like to have show up in others’ email (typically your name). Your Name and Password fields are the only ones you can type capitals in, please keep everything else lowercase! In all lowercase, please fill in the full email (example: joe@yourdomainname.com), then click Next. All entries into Outlook MUST be done in lowercase (NO CAPITAL LETTERS) except for Your Name and Password (if it has capitals in it). Select POP3 from the Incoming mail drop-down. 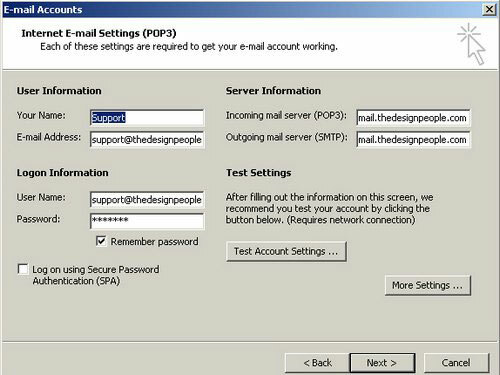 Type mail.thedesignpeople.com into the Incoming Mail server field. 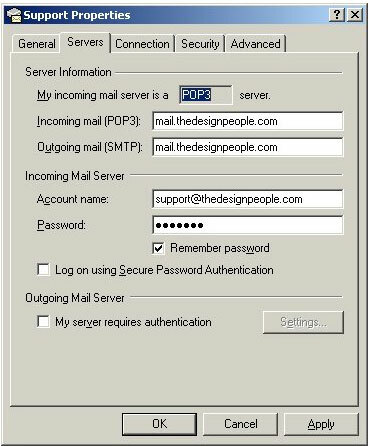 Type mail.thedesignpeople.com into the Outgoing Mail server field. In the Account name field, it has to be filled in with the full e-mail including YOUR domain name – for example – joe@yourdomainname.com (take a look at the picture below) and be in all lowercase. Enter your password into the Password field. It a case-sensitive, so type capitals and lower-case exactly as they appear). 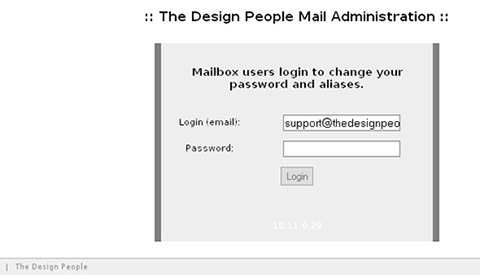 Select the account that says mail.thedesignpeople.com or mail.agentimage.com. 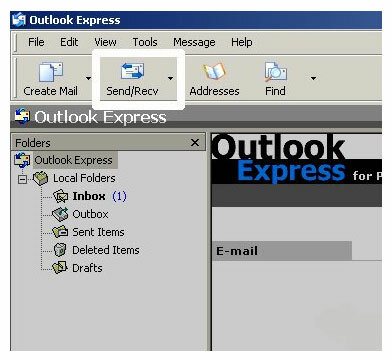 Click “send and receive” in the main Outlook window and you should send/receive your emails! 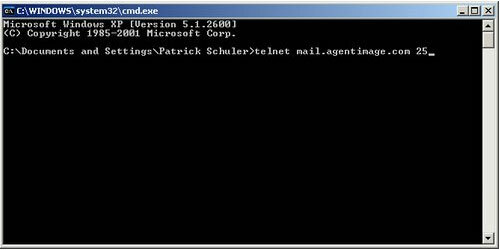 Telnet Test – How do I know if my ISP (Internet Service Provider) is blocking me sending mail? This is the Telnet Procedure to find out if you need to get you ISP’s (Internet Service Provider) outgoing SMTP Server. Once the new window has opened up, type CMD and click the OK button. Once the bleck window has opened, type in: “telnet mail.agentimage.com 25” (don’t put the quotes, but DO include the spaces) then hit the Enter key. 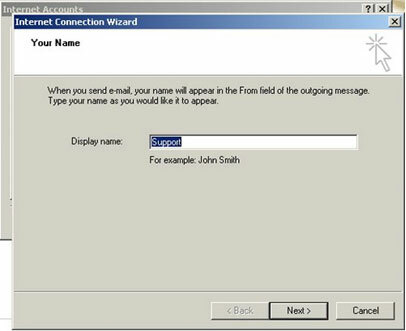 If you see what is in this screen “220 Welcome to the webmail SMTP Server” then you are OK, however if you don’t, then you need to call your ISP (Internet Service Provider) and get their outgoing SMTP Server Write it down and call us back at (877) 317-4111, or click on this link, Find My ISP’s Outgoing Mail Server then scroll down and find your ISP. 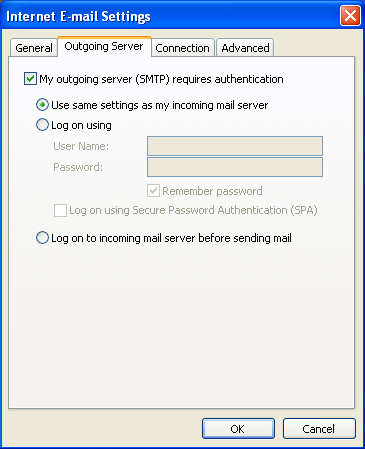 In Outlook, use this list for outgoing smtp server only. 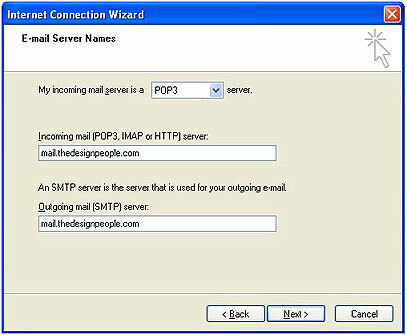 For incoming servers, you always want to use mail.thedesignpeople.com. 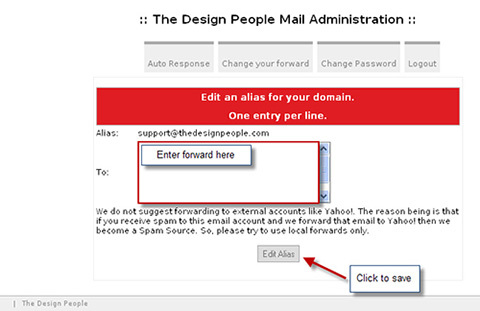 If you use your mail.yourdomain.com, that is fine, but ultimately you will need to switch to mail.thedesignpeople.com. 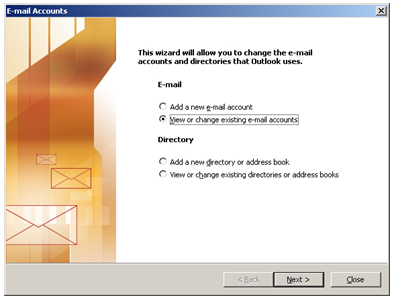 To find out how to get to this screen, click here: Microsoft Office Outlook Email Setup. 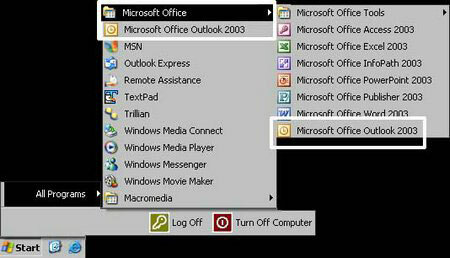 To find out how to get to this screen, click here: Microsoft Office Express Email Setup. 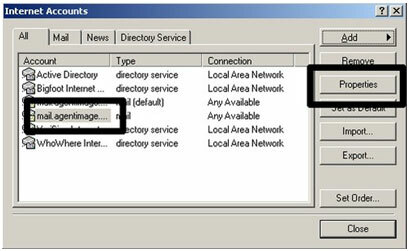 How do I point my domain name to Agent Image’s DNS servers? If you have purchased a domain and have an active site with Agent Image, please use these servers with your *Registrar. Login into your *Registrar account and use these DNS server settings. Once completed, please contact us to make sure we have added your domain to our equipment. If you are unsure on how to set these up with your Registrar, then please call us at (877) 317-4111 and we will assist you. * A Registrar is the company that you purchased your domain name from. Examples of these companies would be like godaddy.com, networksolutions.com, or domains.thedesignpeople.com. How do I control my DNS or edit custom DNS settings? Sometimes customers have an IT department, or special needs where they need to control their DNS servers. The most common case is when you host your own email on your own servers. Please note that we really encourage that you use our DNS servers instead for load balancing and fail recovery reasons, but if you truly need to control DNS, please match these settings. Because we have several servers where your server can be hosted you must call into our offices to get the APPLICATION SERVER name for the website. The support phone number is (877) 317-4111, we can be contacted during normal business hours. 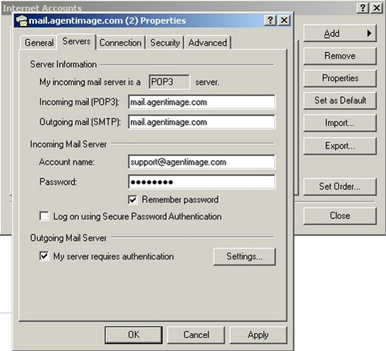 Can I keep my email servers, or custom DNS settings, but still use Agent Image’s DNS servers? Yes, if you have custom needs for DNS then we greatly encourage you use still use our DNS servers. This is to take advantage of our load balancing and fail recovery systems. We have many customers who have internal email equipment for their office communication needs and use our DNS equipment. To get started, you must contact our support department (877) 317-4111 and ask that we setup our DNS records, for your domain, with the special settings you need. Typically it would be a custom email MX record or custom domain name (mail.myserver.com), the Type of record (MX for email, CNAME, A Name for an IP, etc…), and sometimes the answer record (this is the destination where we end up). Usually, customers who have these special needs have an IT company or IT person. Basically this is someone that manages your computers. These people can greatly help in the process of having these custom DNS settings created for you. We welcome your IT staff to contact us for working out these custom settings in our DNS servers or to just answer general questions. 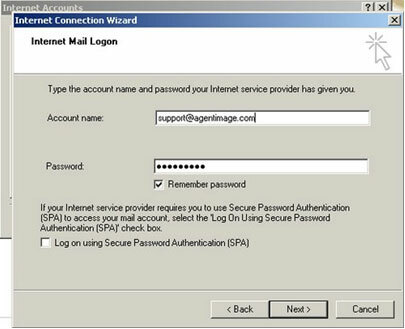 How do I check my mail through the internet or if I am not at my primary computer? If you need to access your e-mail from the internet when you are out of the office or away from your main computer, you can access your mail at http://webmail.thedesignpeople.net/ by using your e-mail address and password. How do I login to the backend/admin section of my webpage? 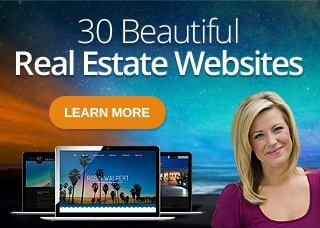 f you want to update, edit, add, or modify the following: About Section, Company Info, Properties, Communities, Testimonials, and Listings/Properties. If you don’t know your login, call Technical Support at (877) 317-4111 and ask to be told your backend/admin password, or you can e-mail Technical Support at support(at)thedesignpeople(dotted)com with your name, phone number, domain name, and the question that you have and someone will get back to you shortly thereafter. How large is my email box? Your e-mail box is 50 (MB) megabytes and the average email messages size is 20KB so you are looking at around 2500 messages before your mail box is full. However if you are sending pictures, documents, and PDF’s (acrobat files) or receiving those then your email message sizes will drastically increase and your box will fill up much faster. Your mailbox will also fill up faster if the e-mails you are sending and receiving are more then just text; if they have pictures or links to the internet in them that takes up more space as well but not as much. When your box fills up, you stop receiving mail. What we recommend that all of our clients do is setup their e-mail account in Microsoft Outlook and then so long as you download your mail on a semi-regular basis (dependant upon your usages and file size) then you will not ever have to worry about your mail box filling up. What do I do if I am getting the 550 Relay Error Message in Microsoft Outlook? Now you should see the previous screen again. You should see the program processing, then all green check marks. This saves the new changes you made and that is the most important part. Sometimes after you save the settings it will work so try to send a message… if it still doesn’t work… please call as soon as you can. If you see green check marks then click Close. You should see the previous screen again, click Next then Finish. Then click “Send/Receive” in the main window and you should get any new messages you have. Congratulations your e-mail is now setup. 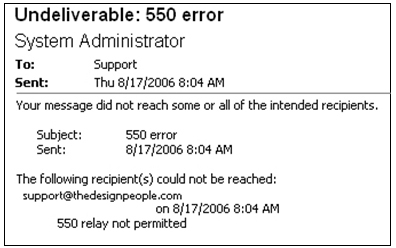 What do I do if I am getting the 550 Relay error Message in Microsoft Outlook Express? Go to “Accounts” at the bottom of that menu. Then click OK then click Close. 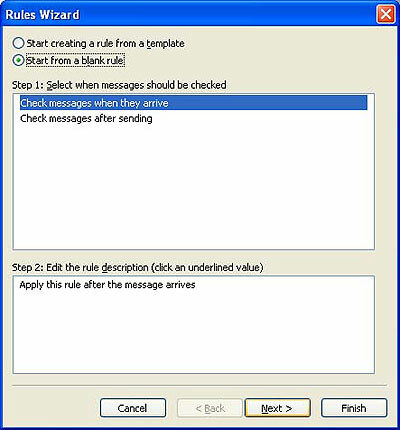 Re-open Outlook and try to send your message. If it still doesn’t work, click on this link: Telnet Test. What is an RBL and why won’t my mail send? RBL is a real time black list. An RBL is a collection of databases that collect IP addresses that have been marked as spam. An IP address get’s marked as spam over time when users who receive mail from that address mark it as spam. This “marking” as spam is something that people do when they feel they have received something that is spam or even messages that they just don’t want to deal with any more. Another and probably more primary way that an IP gets marked as spam is when thousands of spam emails are generated from that address whether intentionally or not. Then companies that have mail servers receive these messages. Rather than blocking each individual message they block the IP address. When they do this they are usually connected through their firewall with the RBL and then the RBL takes that update and adds it to their list. As a result of the advances in spamming techniques, hacking methods, and persistence of spamming from undesired senders RBL’s have been developed. And in order to protect our company and most importantly our clientele Agent Image’s mail server blocks IP addresses that are on any RBL list. This is because at some point that IP was spamming or still currently may be spamming and if that spam was ever shown as coming through our server then our companies IP address would end up on the RBL; which is essentially the worst possible thing that could happen to a technology company. As far as you our clientele are concerned, if you are getting an error message similar to the one below then you might be having this problem. Read the error message that you got in your inbox and see if you can find the a similar sentence to the one at the bottom of this box. Then under the sentence that says “Your IP is:” write that number down. Enter that number that you wrote down and click Lookup. Obviously failed none is the best. If you did get a fail though what you need to do is scroll through the list sometimes even in if there are red rows it is OK. But 99% of the time if it has failed and you have multiple red rows in these results then you are using an IP that at some point was used to send thousands of spam messages. How can I send my weekly/monthly e-mail newsletters out? Am I spamming? There are a number of different ways for you to send out your e-mail newsletters to your clientele. However there are legal ways and illegal ways of doing this. 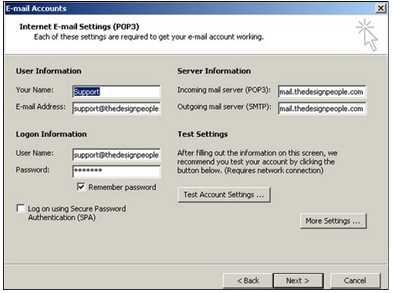 First, and most importantly, if you are using any derivative of mail.thedesignpeople.com or mail.agentimage.com as your outgoing server in your e-mail client then we ask that you give us a call and we can walk you through the legal ways to send out your e-mail newsletters. The number is (877) 317-4111 ask for the Internet Marketing Department. The reason for doing this is that if you are sending out messages/ newsletters/ e-mails that are unsolicited, break ANY spam laws, get marked as spam, bounce back, or violate our company policy on volume e-mail (spam) then what happens is that our servers here at the designpeople.com could potentially be marked as a spamming server. When this happens our e-mail service will shut down. We rely on having a spam free server and we constantly monitor and patrol the major RBL’s to make sure that our servers have not been marked as spamming servers. Part of doing this is ensuring that when newsletters and mass e-mailing campaigns are sent out they are done in such a way as too ensure our company and just as importantly our clients have a safe, secure, spam free environment to do their business and conduct their e-mail communications. To know what your status is, ask you self these questions and give us a call (877) 317-4111 if you need assistance. Do I send more then 50 e-mails a day? Did the contact ask for/know that you would be e-mailing them your newsletters? Do I send e-mails to people that want my e-mails? Do I have an opt-out option in my newsletters? Do I use a clear and distinct non-deceptive subject lines in my e-mail? Do I regularly update my e-mail clientele list? Do I just keep adding e-mail recipients without ever removing any? Am I absolutely positive that those that receive my e-mails STILL want to receive them? How do I get an html newsletter with web content built for me? What is the advantage of a newsletter with web content vs. a text document or pdf? What are the disadvantages? How do I know what messages are being read? How do I know what messages are being marked as spam? How does that affect me? What happens if my messages are marked as spam? When I send out hyperlinks in my newsletters how do I know which links are being used, looked over, don’t work? How many people actually read my newsletters, where do they go when they click on my links? Do they need more information? Can I forward my e-mail? Yes. You can always forward your e-mail to wherever you would like. If you already have a preexisting account like at yahoo, gmail, or aol, you can have your e-mails from your new website forwarded to your other e-mail. Email forwarding allows you to maintain a professional email address while still using your personal email address. If you just registered abcxyz.com, there is a good chance you would like to receive email at an address containing your domain name. Email forwarding allows you to do just that by sending all email sent to specific abcxyz.com accounts (user1@abcxyz.com, user2@abcxyz.com, and user3@abcxyz.com) to existing email accounts you specify. Email forwarding also eliminates the hassle of telling everyone you know that you’ve changed your email address. A Warning: When forwarding mail once it has come into our servers we have control over it. We back it up. We save it. And we deliver it to your local mail box POP3 account. However if you have a forward that process doesn’t happen, once your mail comes into our servers it is immediately sent out again. This makes it impossible for us to insure the delivery of your mail. This is because the SPAM policies and e-mail settings on other servers are not all uniform. Therefore they may see the mail coming from our server as spam because it is being forwarded. We have gone to great lengths to talk to these third party e-mail providers and get this problem resolved. At this point there are limited resolutions. Although nine times out of ten you will receive all forwarded mail this warning is something to consider when electing to have your e-mail forwarded. 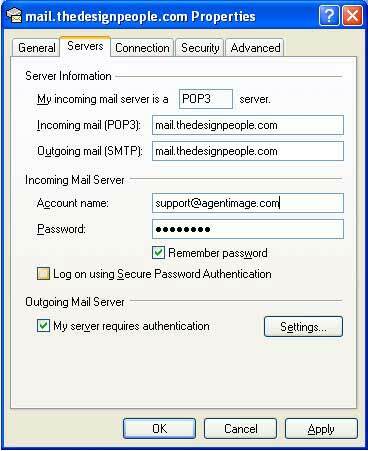 You can have your mail delivered to your local pop3 account and forwarded to your other e-mail, thus insuring that the previously discussed issue is solved because if you ever suspect your mail to be missing you can just log into our server and check it. This is contingent upon regular upkeep of your account as you do have 50MB but that often fills very quickly when you have attachments; and when it does it will stop collecting your mail thus defeating the purpose. As a result though you will find yourself receiving an awful amount of spam. As spammers generally have programs that send messages to every name in the dictionary as a result since you have a catch all it will appear as though you have all those names and it WILL be delivered to you. The advantage of a catch all is that if anyone ever spells your name wrong in your e-mail or if you have a lot of agents at your company you can insure that any misspellings in e-mail accounts are still received but that will require a lot of time sorting through spam. 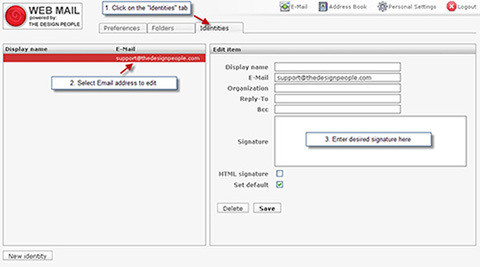 To set up your signature using webmail, first login to webmail via: http://webmail.thedesignpeople.net. If you prefer your signature to be in HTML, select “HTML signature” and then place the HTML code you will be using, into the dialog box. Your email signature is now set. After setting your email signature, send an email to yourself to verify the layout is how you’d like it to be and follow the above steps to make any further changes. 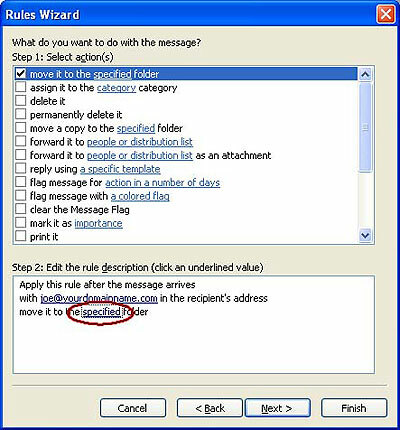 How do I set up a reply-to address in webmail? 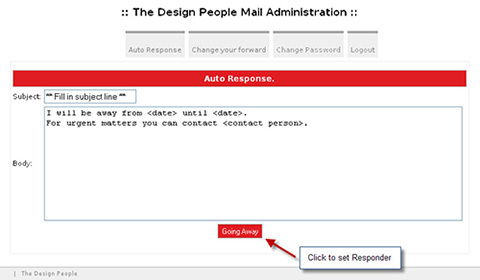 To set up a “reply-to” email address using webmail, first login to webmail via: http://webmail.thedesignpeople.net. Your “Reply-to” is now set. How do I set up an auto responder in webmail? How much memory am I using in webmail? 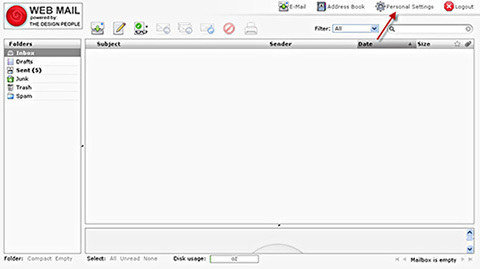 How do I select all messages in webmail and delete them or move them? In your e-mail account, select the inbox then at the bottom you are going to see a box with a green check mark at the bottom. Click that, go to the bottom and select trash then click move (click on individual e-mail boxes to select a couple that you might now want to delete). Then remember that when you move it to the trash it is still there it will still take up space until you delete trash. 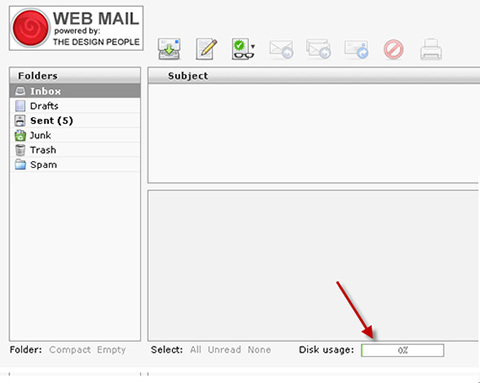 I deleted my messages in webmail but it is still saying that it is full, what should I do? If you deleted your messages in webmail but it is still saying that you have a full box you need to make sure that you deleted the trash and the sent items. Even when you delete stuff it is still moved to the trash folder and then you have to select that or select permanently erase in order to dump the trash. How do I setup Mac OS X Entourage? 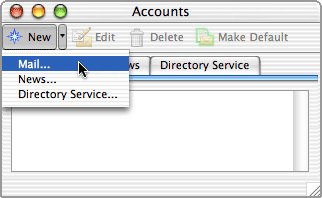 Click the Tools menu and choose Accounts. 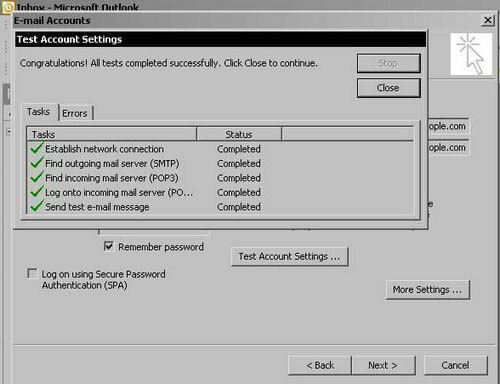 The Account Setup Assistant window appears. The Edit Account window appears. Account ID: your e-mail address. (The Account ID must be all lowercase). 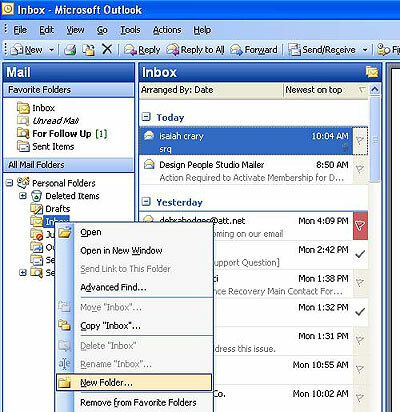 Open the advanced sending options window. 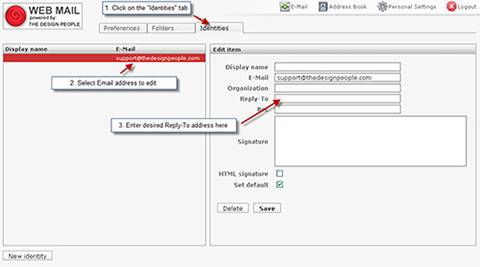 To do this, click the button marked Click here for advanced sending options in the Sending mail section. Change the advanced sending options. 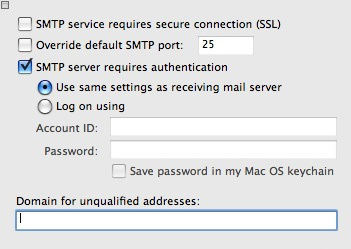 Check the SMTP server requires authentication box. 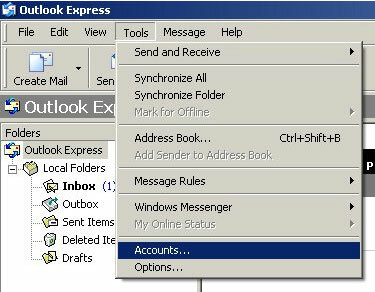 Click the small square in the top-left of the advanced sending options window to close it, then click OK to close the main Edit Account window. What do I do if my connection to the server was unexpectedly disconnected or terminated? If you receive this error message then chances are more than likely that you have some sort of anti virus software or internet security that is blocking your connection. Our server never terminates connections which mean if you get that message something is interfering with your connection. Generally it is Norton Internet Security and their e-mail scanning software, or a firewall that they have, also MacAfee, AVG, Trend Micro, PC Cillin, Zone Alarm, Avast and many more. All of these software’s will work flawlessly when configured correctly to work with Outlook, it just has to be done properly. Antivirus software is always necessary as well as firewalls so please use them just contact your software provider to discuss with them solutions for Outlook. Other causes to this error message could be port 25 is being blocked by your ISP. Call them and get their Outgoing SMTP and your username and password. What do I do if the “enter network password” box keeps popping up? There are capital letters in your settings. If you put capitals in ANY field besides the “Your Name” or “Name” fields, it will cause problems. Specifically the username, account name, and login info all need to be lower case. You also could have an incorrect password. Your password could have been changed or mis-communicated to you and you need to call to get a new one. 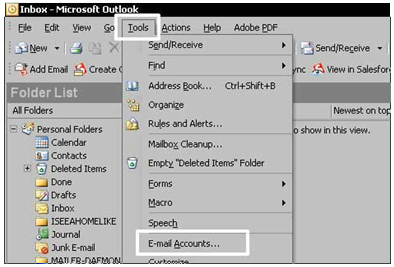 You need to remove the account from Outlook once you know you have the correct password and add all information back in all in lower case. You have software such as a firewall or internet security or e-mail scanning software that is interfering and won’t let you send. Your ISP is blocking you and you need to call them to find out their settings for Outlook. What do I do if the “Send Test E-mail message” failed? 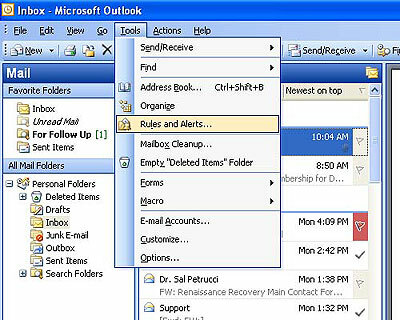 Recheck all your settings in outlook make sure they are correct. Make sure your email address and username are in lower case and your password is entered correctly. 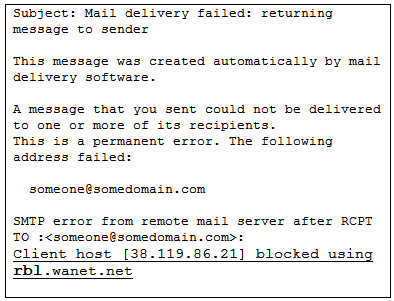 If you don’t get “220 Welcome to the webmail Server” then you are being blocked for one reason or another. Contact your Internet Service Provider for their Outgoing SMTP and your username and password. Temporarily disable all internet security, mail scanning software, firewalls, and antivirus. What do I do if I get a non-delivery notification “Your message did not reach some or all of the intended recipients.”? This is generally because that address you are trying to send to is wrong, doesn’t exist anymore, or there is a problem on the recipients’ end. 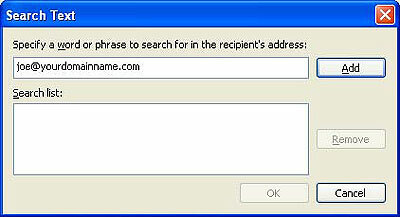 Try to retype the address letter for letter. Also you could try to send from a different account see if you get the same message. 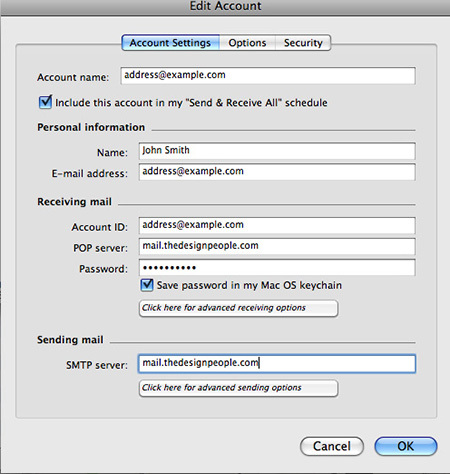 What do I do if I can’t open attachments in the online mail server? 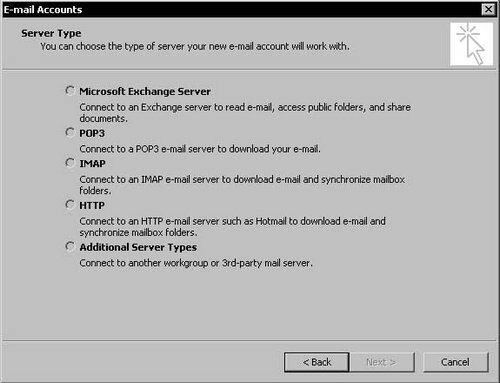 In order to open attachments when you are using the online mail server, you will need to click the attachment and save it to your Desktop. From there, find the file on your Desktop and open it. 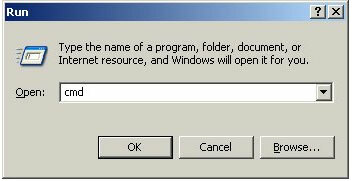 In this program, you CAN NOT click on the file online to open it, it will not work, you WILL receive an error message. 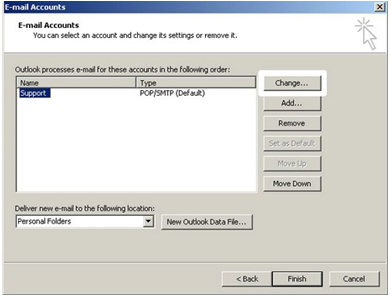 How can I set up multiple accounts in Outlook and receive the emails in separate folders? 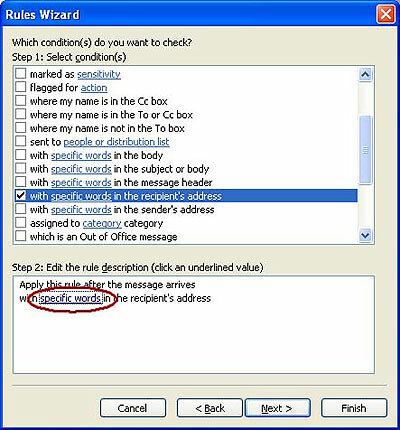 In Step 2 of the Window click on specific words. Type in your email address and click Add then OK. 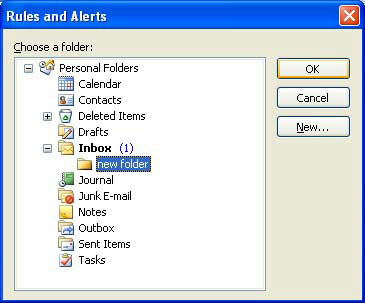 In Step 2 click on the specified link and choose the folder that you want your emails from this account to go. Click Next, and if you don’t have any exceptions to add click Next and Finish. 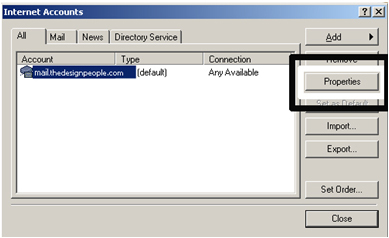 Now all the emails sent to the specified email address will be saved in the specified folder.